A textured wall can make any room instantly more interesting, but how do you create texture with paint? We’ve put together a short guide on the six most popular interior painting techniques for you to choose from to add a little texture to a room. Stippling: To add depth and color graduations, a stippling brush is used to create a blotchy effect with the paint. Glazing: For a glamorous look, a solid color base coat is applied first, followed by transparent paints. The transparent colors are then partially wiped away to allow the base coat to be seen. Sponging: This involves applying paint to a sponge and gently touching it to a wall for a textured affect. Color Washing: For a subtle layered appearance, a base paint is covered with another paint or thick glaze that is in the same chroma family, such as dark red with dark green. Spattering: Spattering is a technique in which you flick paint off of a paintbrush and onto the wall. The size and range of the spatter is controlled by the size of the brush. Ragging: This is a complicated process that uses at least two different paint colors to create a marbled look. A linen cheesecloth, or something similar, is used to blot away paint. Some techniques, like sponging and spattering, are fairly easy while others, such as ragging and glazing, are more advanced with added steps. 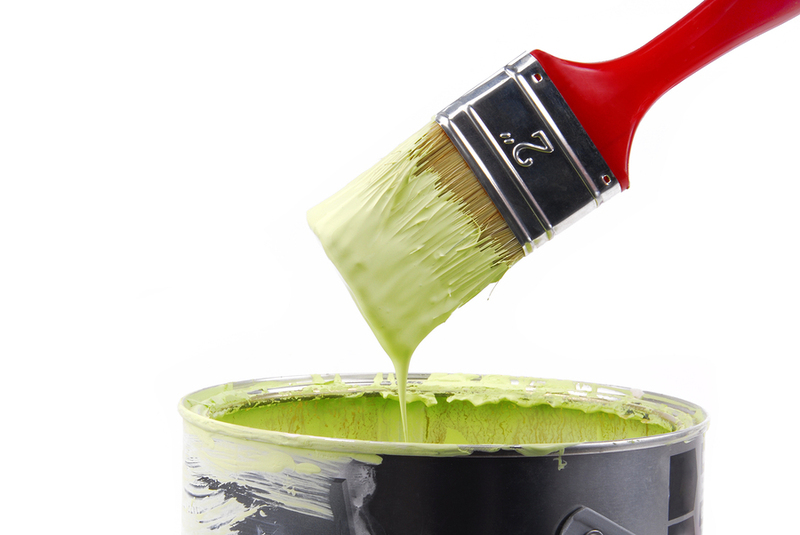 You could DIY your interior painting, but that’s a big risk. That’s why we recommend hiring a professional so ensure it is done properly and looks as good as you imagined it.